Now San Francisco must go through the season with C.J. Beathard at quarterback. The Niners struggled with Beathard and Brian Hoyer last season before the midseason addition of Garoppolo changed their fortunes. 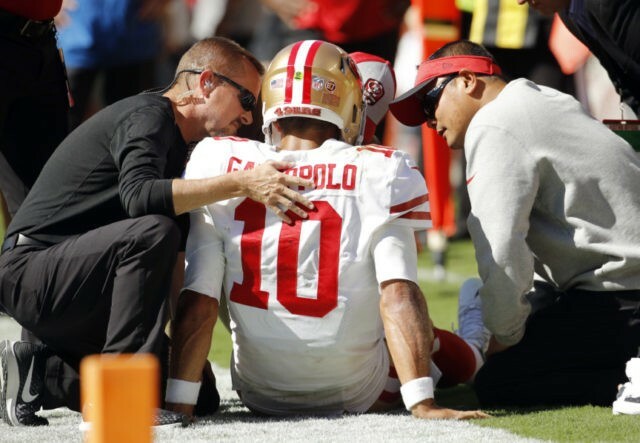 San Francisco won the final five games last year after Garoppolo took over as starter and the team rewarded him with a $137.5 million, five-year contract.